This one has it all!!! 6 bedrooms plus a loft. Screened pool, 3 car garage!! 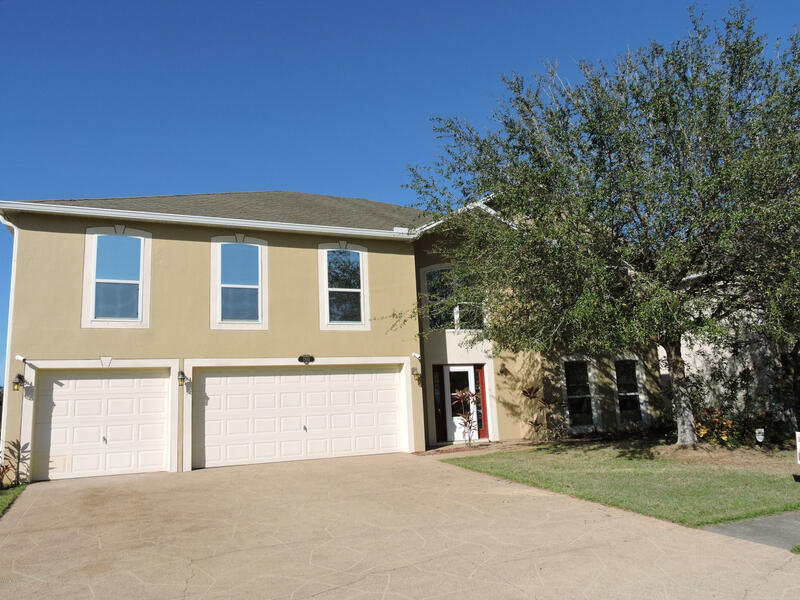 Tranquil lake view, plenty of yard, expansive covered screened patio, with artful, tasteful murals for ambiance.Laminate and tile floors, crown molding, ceiling fixtures, Master suite has tray ceiling, custom closet, private office and awesome master Bath. Full bedroom suite down stairs. 5 more bedrooms plus large loft up stairs. Kitchen features center island and opens to spacious family room. Plenty of room for office, theater, library, game room, nursery, hobby room.The possibilities are endless! Nestled in a West Melbourne gated community. Ideally located, easy access to I-95, schools, shopping (Lucky's Market, Sam's Club, Downtown Produce, Publix, Walmart, Mall and More),theaters,beaches ect!